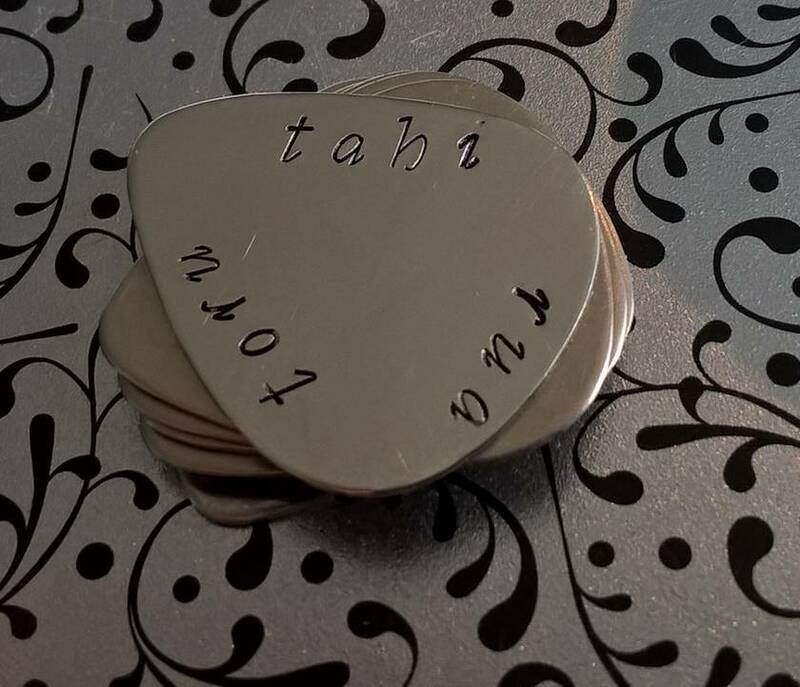 Hand stamped nickel silver guitar pick with the words tahi, rua, toru (1, 2, 3 in Maori). 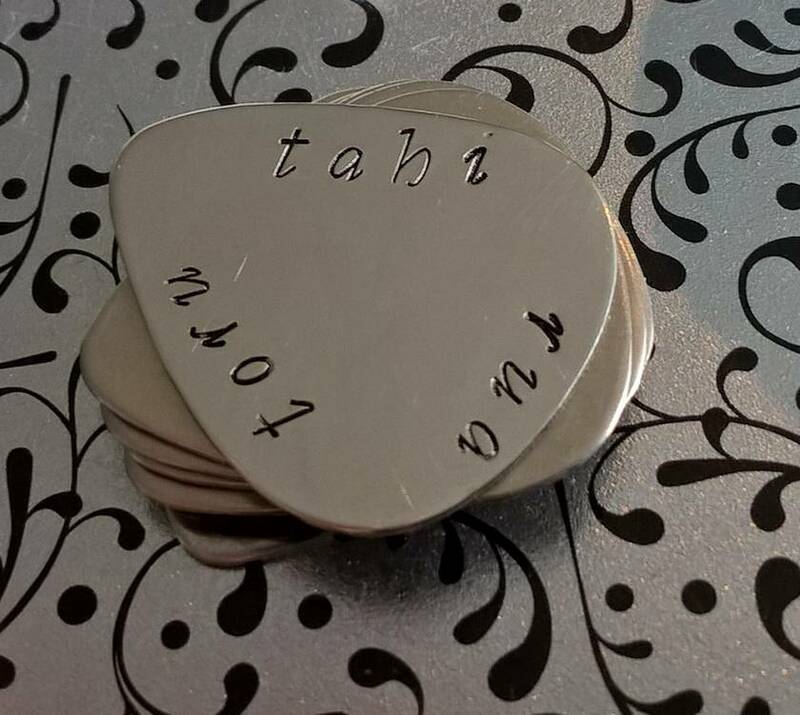 This has been hand stamped with the font (stylish) in lowercase. It has then been given a non-toxic black ink finish on the letters. 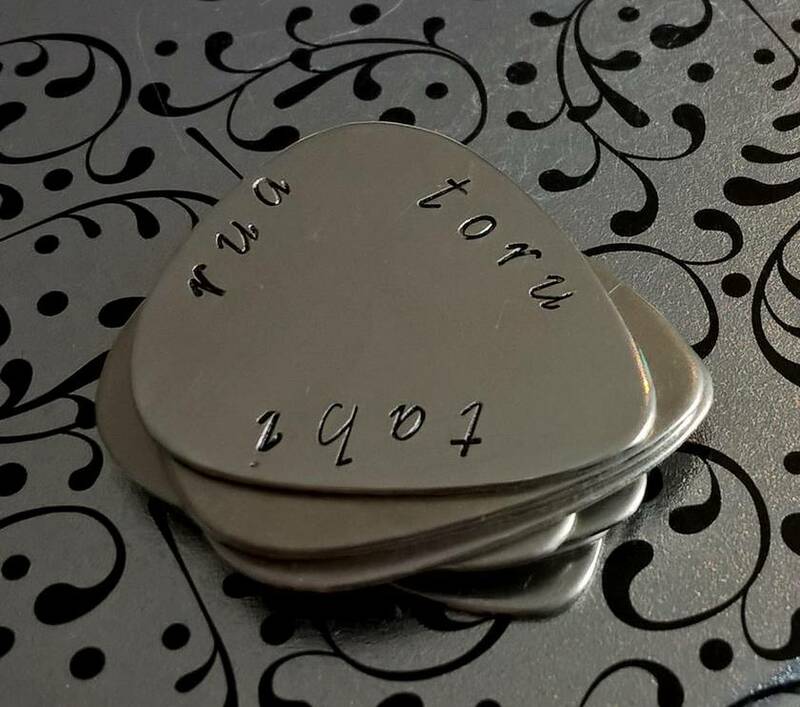 There are slight imperfections with the stamping - I believe this adds character and authenticity.